I challenged myself to 10 days in a row of Pinspired outfits. Technically I failed, but only because I didn't wanna waste an outfit on a day I spent all my time at the beach. I did do it for 10 days, but it took about two weeks to wear them, and clearly a little longer than that to post them all. I wore this one when Trey Songz came in the studio. I hear the boys like the shorts/heels combo, and I had two items I recently got on clearance that hadn't been worn yet. Then I found the perfect combo! I was super pumped when I saw this next one on Pinterest, too. I had near-perfect clothes to put it together! 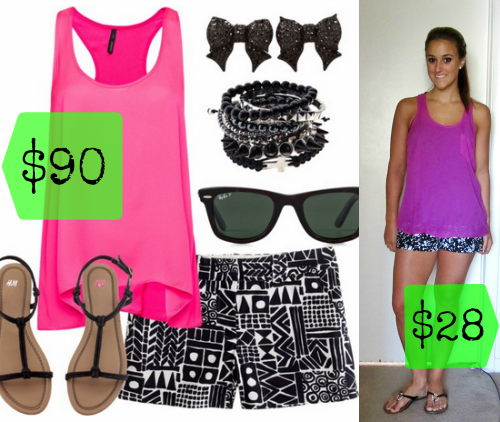 Shorts- Forever 21 [$9], shirt- Forever 21 [$8], flops- GoJane.com [$9], earrings- Forever 21 [$2]. I planned on wearing our HOT 100.5 fake RayBans, but looks like I forgot to throw those on. Woah, that's a lot of Forever 21. 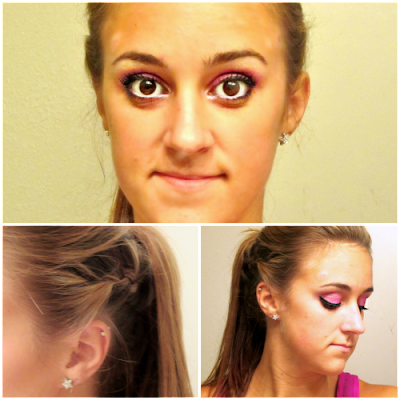 I got a Maybelline eyeshadow palette [in Amethyst Ablaze] when I dressed up as Ke$ha for Halfway-to-Halloween, and it's now my new fave. I only have one color on which makes it super easy and quick, but sometimes I throw in some dark purple contouring. BAM! Ten outfits that I've pinned that I can now say I've actually used. I refuse to be one of those pinners who saves all this stuff, and never actually uses any of it, so these pinspired outfits will totally continue. ALSO, I wanna challenge YOU! Can you throw together a Pinspired outfit?! If you do, send me some pictures and the deets, and I'll feature you/your outfit on my blog! If you wanna type up an entire post for me to post, that'd be even more neat! Send anything and everything to my email- elizabethanyy at gmail dot com. I can't wait to start showing off my friends to the world! 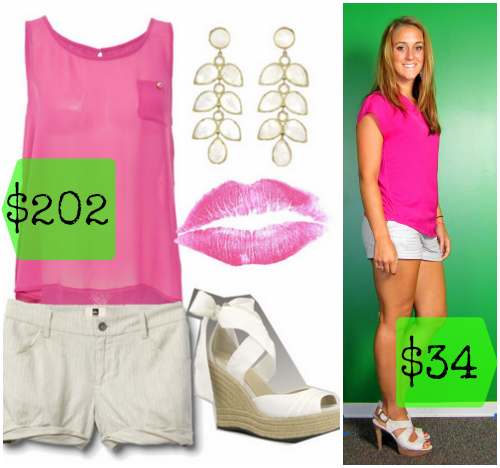 PS: See ALL of my outfits and the deets by clicking the picture below! PPS: I had a secret challenge to do my hair different for each outfit. 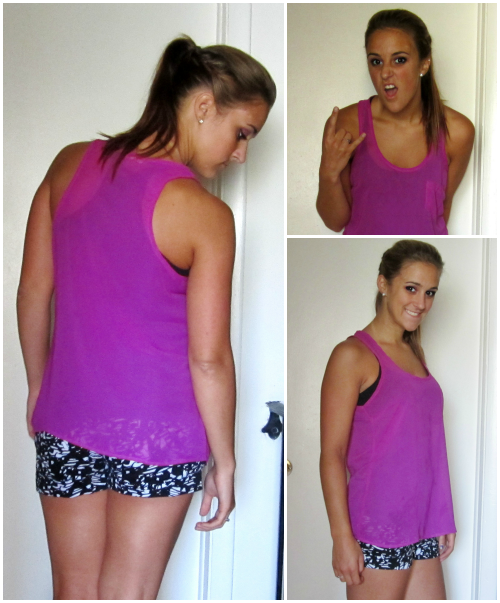 Minus wearing it plain/down for two outfits, I totally achieved it! HIGH FIVE!